New update removes fps lock. I think three updates might be enough for Andy's news article about Mafia 3's 30 frames-per-second lock, so I'm turning over a fresh page, quill in hand, to bring you the news that the promised patch is available to download now. If you've not been following this minor controversy, Mafia 3 launched with a 30fps lock on PC, and there are probably dozens of frothing YouTube videos about that. The developers promised a patch that would allow 60fps play, and whadda ya know, that patch is here. You can now play Mafia 3 at 30fps, 60fps, or some crazy fps like 227 if you prefer, as there's also an "unlimited fps" option. Oh, you wanted more fps, so say the patch notes; here, have all the fps in the world. "To select your framerate, just head to the display menu in-game. Just make sure to tailor the framerate settings to the power of your machine. This patch also includes improvements to keyboard remapping, so head to the controls menu to check out the options. Note: this patch resets keyboard mapping to default, so any changes you made to the controls previously will need to be customized after installing the patch." 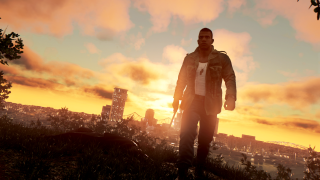 We'll bring you our review of Mafia 3 soon (PC Gamer wasn't given review code in time for a timely review), but for now, have a read of Andy's impressions of its first few hours.